Our family run company has been based in the Wolverhampton area since 1969. 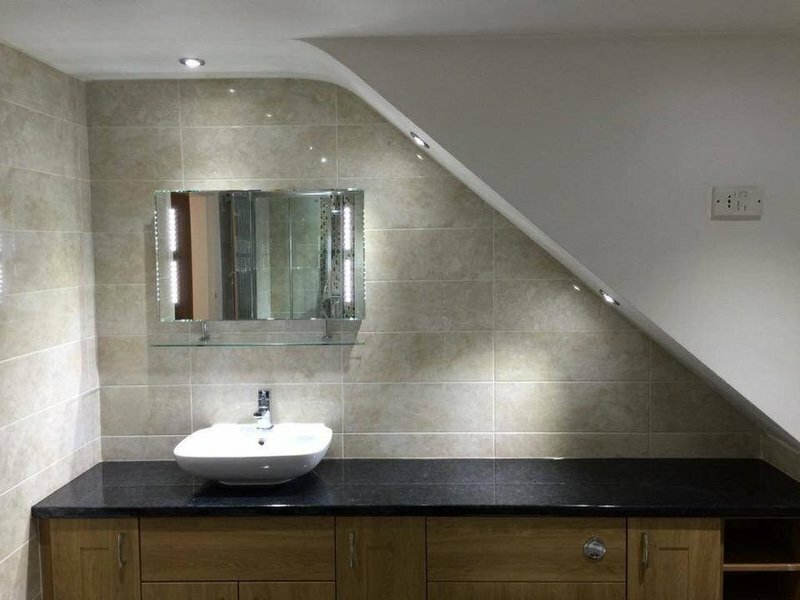 We take pride as designers, manufacturers & installers of kitchen, bathroom, home office & bedroom furniture (including sliding mirror wardrobes). Our factory showroom allows us to produce custom-built units on site & adapt units for those with complex requirements. 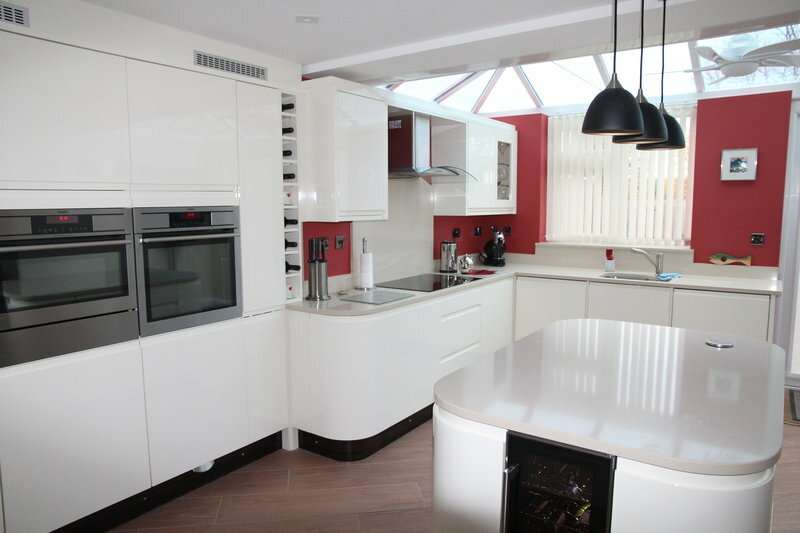 We offer a comprehensive service from design through to installation. Our designers & installation team have worked with us for many years, giving us a level of expertise & experience unmatched in the West Midlands area & further afield. It is this level of commitment, coupled with our family values that result in the majority of our customers returning to us for further works, as well as recommending us to their friends & families. From start to the end product we had excellent service, good choice and end result wonderful, brilliant company. James and Huntley fitted our first fitted kitchen over 20 years ago and we had no hesitation in going back for a second kitchen. Adrian is clearly a very talented designer and did his best to achieve the minimalist look that we wanted at a price we could afford. The range of appliances were high quality at a fair price. Richard the fitter was very professional and was completed the installation to a high standard. James & Huntley also put us in touch with other excellent tradesmen for plastering, flooring and electrical work. The whole project was handled smoothly by Chris in the office and the project was delivered on time and on budget. They may not be as well known as some of their larger competitors, but they are large enough to cope and small enough to care! A friend recommended J&H. From Adrian coming round to offer up an opinion on what to do and where, to a recommendation on the tiles, it all comes to a great conclusion. This was not just a kitchen refit, it was a walls down, steel in, re-plaster, new floor and ceilings job! I did not want to project manage, and Chris and his team do you a planned works timetable, which was more or less day perfect. The kitchen looks AMAZING. I had a very simple white doors, black top, and AEG appliances. Adrian offers up design tips, what he thinks will fit in and what might not, with an eye on the details. It is very family run and you do feel like you are their only customer! James & Huntley installed my new bedroom, helped with planning and choice of units. I had to wait a while, but it was well worth it. Work carried out on schedule promptly and professionally. Excellent clearing up afterwards. I would thoroughly recommend this company. We have used James & Huntley 3 times now for fitted wardrobes and other bedroom furniture. The workmanship is excellent & would not hesitate to recommend this company to others. We are hoping to use them for design & fix a new kitchen in the very near future. The whole process was first class from design through to installation. The designer gave us options and suggestions. The fitters were excellent, nothing was too much trouble for them. This is the fourth job James and Huntley have done for us - kitchen, garage and office. All are excellent. We recommend them without reservation. Fantastic kitchen fitted. Completed in time frame given. Minimal disruption. Finished off to the highest of standard. Whole project undertaken by James and Huntley. I would highly recommend, brilliant service. 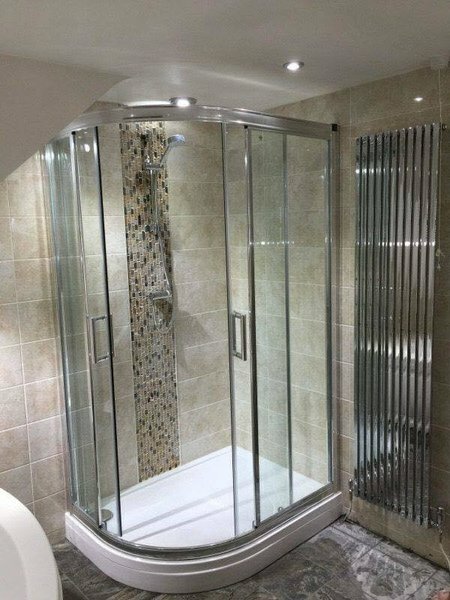 A raft of five-star reviews guided me to this Wolverhampton company, for a replacement bathroom and bedroom. The awkward shape and size of the former made the project particularly challenging. Sales director (Adrian) made multiple home visits to identify and address every issue, and guide me gently through my - rather slow - decision-making. His colleague (Chris) kept the process moving smoothly, and I was so impressed by their attention to detail and professionalism that I was happy for them to proceed whilst I was overseas. 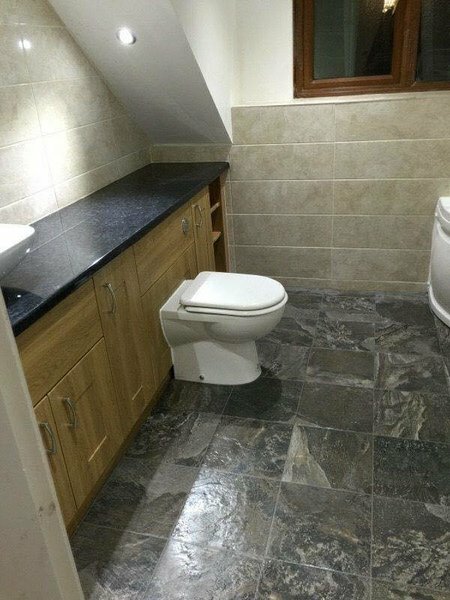 On my return, I found that the fitter (Richard) had created a work of contemporary art 'disguised' as a bathroom, and the precision with which he trimmed and laid my tiles was especially pleasing. Could not be happier, and delighted to pen this review. Excellent managed job on fitting our new kitchen. We had to move out of rented accommodation by a certain date and time was of the essence. The company catered for this event and finished the job in record time. The design and quality of the product was first rate. The tradesmen involved were friendly, polite and we couldn't fault the quality of their workmanship. Overall an excellent job has been done and both Adrian and Chris have given us a beautiful kitchen. We would not hesitate to recommend the company. Clear quotation, with a fair price. Work was carried out to a high standard and in an efficient manner. Results of the fitted bedroom look very good.